A much-loved funeral director who played a role in one of the most strategic victories of World War Two has died at the age of 90. Jack Douch from Colehill in East Dorset was awarded the Freedom of Valletta for his bravery aboard HMS Bramham bringing supplies to besieged Malta. 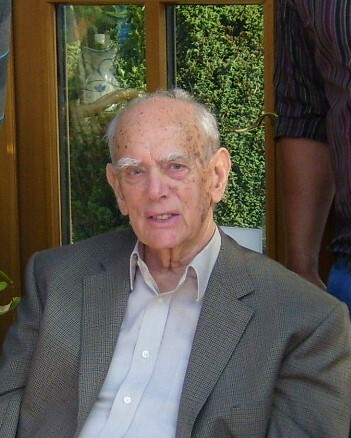 He passed away peacefully at home on Easter Saturday. Hundreds of people will attend Wimborne Minster this Friday April 20 at 11.45am to celebrate the life of the cricket enthusiast and family man. At the tender age of 14 Jack, who excelled at Wimborne Elementary School, joined his father Fred’s cabinet making and funeral directing firm F C Douch & Son. In addition to furniture handmade at the firm’s workshop in Church Street, he travelled Europe in search of stock and joked that he was selling Scandinavian furniture before IKEA even existed. Jack, a former President of Wimborne Cricket Club, married his childhood sweetheart Barbara Comben in 1944 during a week’s leave from the Navy. Described as ‘soul mates’ by friends and family; the couple shared a love of sport and coastal walks and enjoyed 63 years of marriage before Barbara died in 2007. They are survived by son Peter, daughter Judy, five grandsons and three great granddaughters. Jack joined the Navy in 1942 as a telegraphist. He was aboard HMS Bramham during Operation Pedestal and helped tow the stricken tanker Ohio to the harbour after it was bombed. The action saved vital supplies of fuel, munitions and food for troops and civilians in Malta and strengthened the war effort against the Italian and German forces in North Africa. His life-story is documented by the Imperial War Museum in London. Jack was also aboard the Bramham when it escorted the Queen Mary, requisitioned as a troop ship, into the Clyde – as the 80,000 ton liner zigzagged to avoid U-boats, she was in collision with the cruiser Curacao, which had also been zigzagging. The Curacao was cut in two and sank, with mass fatalities and the Bramham was one of six destroyers to take part in the rescue operation. He also served on Arctic convoys delivering supplies to the Soviet Union. Though the UK was slow to decorate its Arctic war heroes, he received a medal of thanks from Russian President Vladimir Putin. While stationed with the Navy in America, Jack visited other funeral directors in the name of research – and, when he returned home from war, he became one of the first funeral directors in the South West to study embalming. His father gave him half the firm and he focused his attentions on expansion, which included acquiring a carpet firm in Southsea, a furniture shop in Swanage and a car hire firm to ensure he had hearses and limousines at his disposal. Under Jack’s leadership F C Douch & Son employed a workforce of 80, with eight furniture stores in the South and a list of esteemed customers including the Ottoman Bank and Chewton Glen Hotel in the New Forest. Jack’s son Peter joined the business in the early 90s and his grandson Nick joined in 1999. In 1995 the last of the furniture shops closed and the business became purely funerals. The F.C. Douch & Son group has expanded to include seven funeral branches in Dorset and staff recently celebrated the firm’s centenary. Jack remained a major shareholder and played a key role in major decisions affecting the business. Jack was a keen batsman and wicketkeeper at Wimborne Cricket club from 1935 till the early 70s and was looking forward to the 2012 season. He recently took part in a series of interviews with Wimborne Museum about his life and the area. A private cremation will take place this Friday followed by a public service at Wimborne Minster in celebration of his life. Donations are being made in Jack’s memory to the Winchester children’s hospice Naomi House.